The project is a large family house on one of the last remaining sites to be developed in Roches Beach. 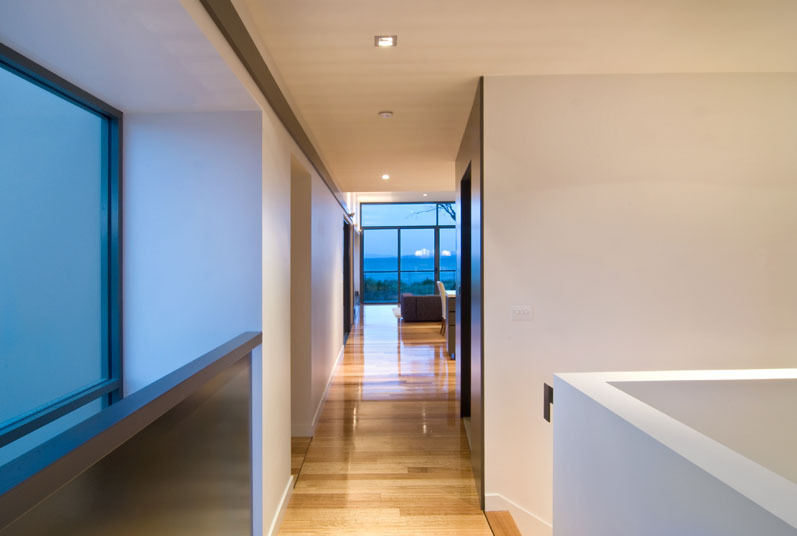 The project brief called for 4-5 bedrooms with several living areas with all to incorporate the panoramic beach views. 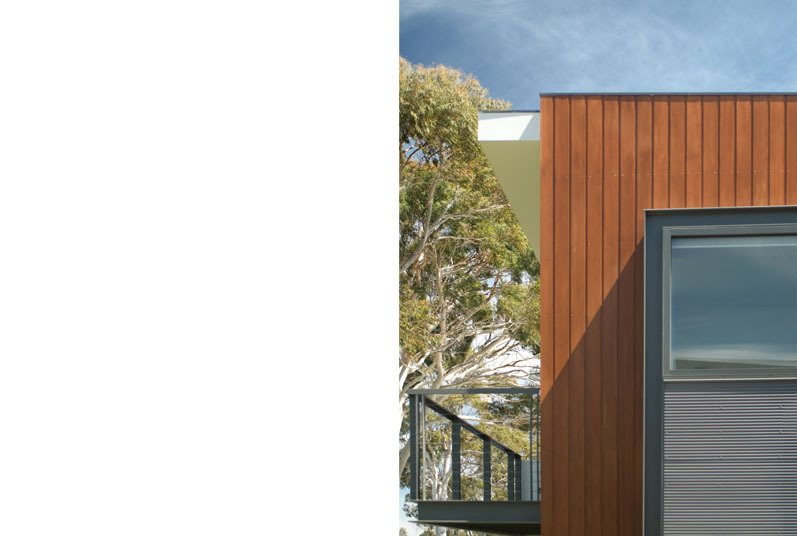 The building program is split over two levels allowing for a smaller footprint and is designed and oriented to suit the changing Tasmanian conditions. 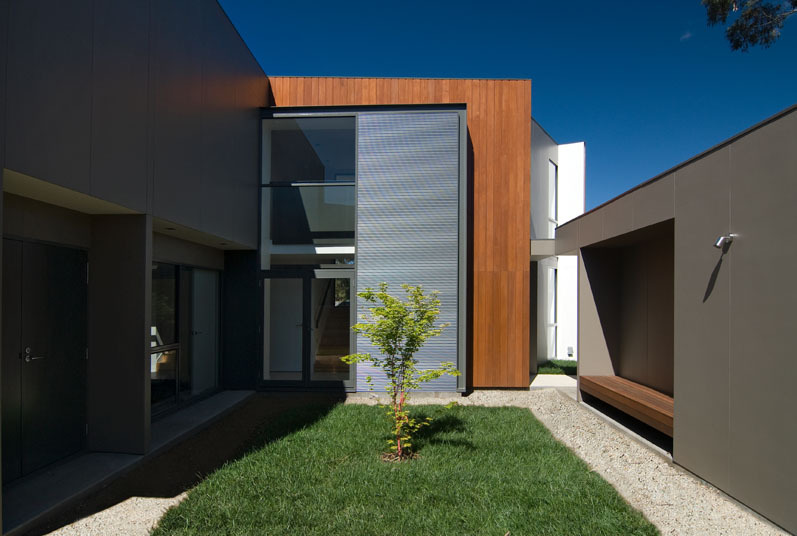 The house is robust in nature with a number of external spaces that shelter from the breeze and provide privacy from neighbouring properties. 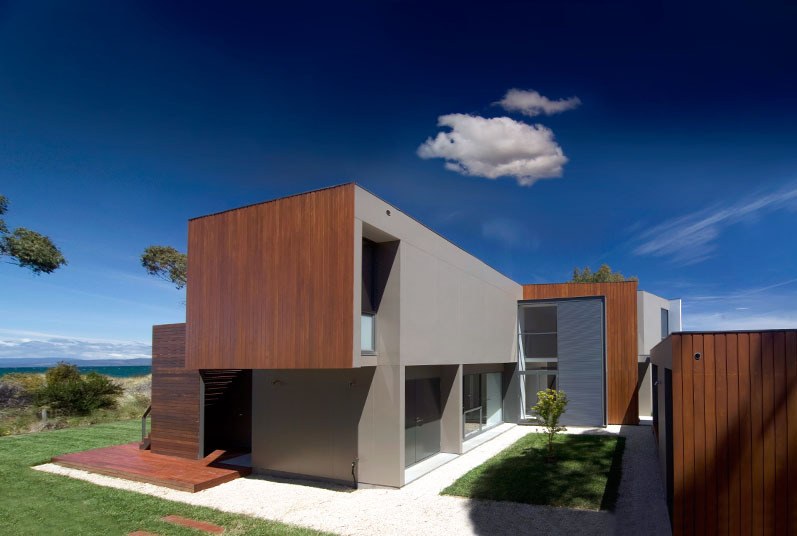 The building consists of a layering of contrasting materials; warm western red cedar timber boards and painted cement sheet cladding.